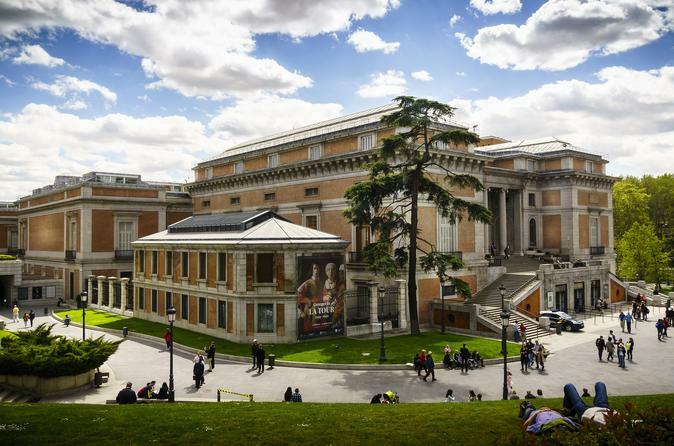 Visit The Prado Museum with no queues and discover what is considered to be one of the world's finest collections of European art, dating from 12th to the early 20th Century. Enjoy masterpieces from Velázquez, Goya, Bosch, and more. If you want your visit be completed in Madrid, you cannot miss seeing some of the world’s great masterpieces located in this museum. The collection hosts thousands of drawings, paintings, prints, and sculptures to be discovered by the visitors. Don't miss the most important ones - the visit will be focused on Durero, Fra Angélico, El Bosco, Tizziano, Tintoretto, El Greco, Velázquez, Rubens, and Goya. Founded as a museum of paintings and sculptures in 1819, it was enlarged by the addition of short pavilions at the rear of the magnificent building between 1900 and 1960. Journey through the story of Spanish and European art through the centuries and get expert explanations along the way.